Westminster, Colorado – Frictionless World, LLC is excited to announce the launch of its revolutionary super-fast Trophy Strike 120V Lithium-ion Battery Cordless Ice Auger, the industry’s most powerful cordless ice auger featuring zero-emissions 120V energy and extra-long battery life. The official launch date for the Trophy Strike 120V Ice Auger is March 1, 2017. The Trophy Strike 120V Cordless Ice Auger drills up to 96 holes through 20 inches of ice with accuracy and precision – all on a single battery charge, and is 50% faster at drilling holes than the competitor’s ice auger. 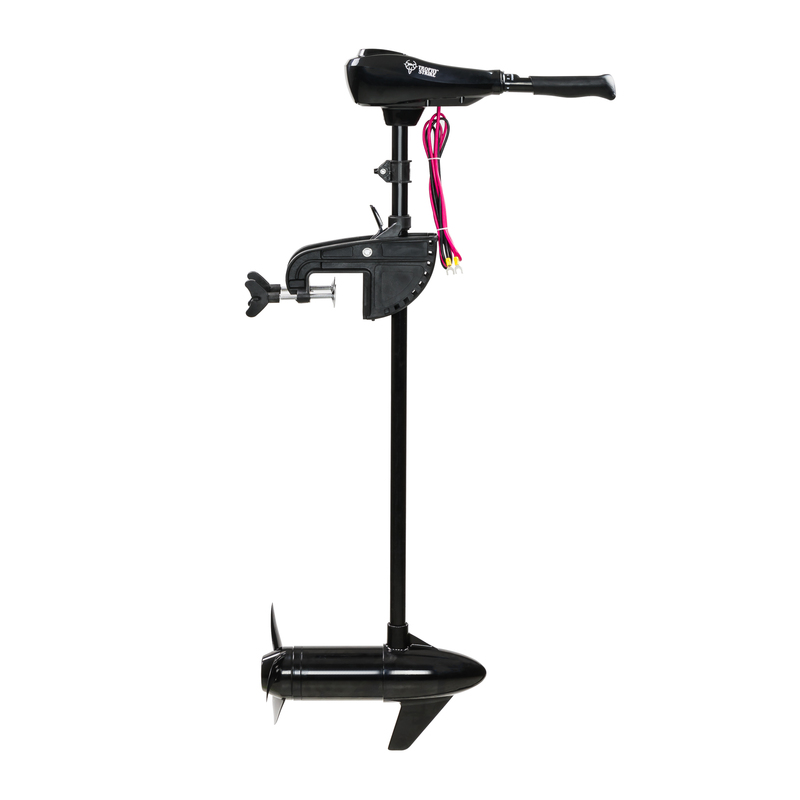 It features a 2-amp lithium-ion battery, powered by genuine Samsung cells, and no hassle instant-on power so you’ll no longer have to work up a sweat trying to pull start your auger. 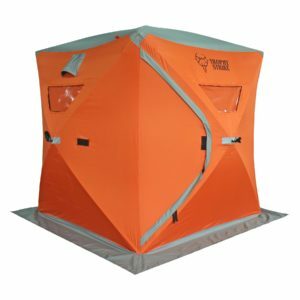 The Trophy Strike auger is quiet and lightweight and displays green technology at its finest, using battery power instead of fuel, and because there’s no toxic exhaust, the 120V ice auger is a smart, safe choice for use inside your ice fishing shelter. The 8” diameter auger features laser cut twin stainless steel blades to deliver a faster bite into any kind of ice and slush, and the brushless motor technology senses and delivers more power when it’s needed the most. 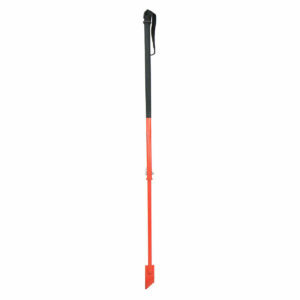 Plus, the augers innovative reverse switch backs your auger out of tricky frozen material quickly and flushes slush and ice chips from drilled holes, thus eliminating the need to scoop. 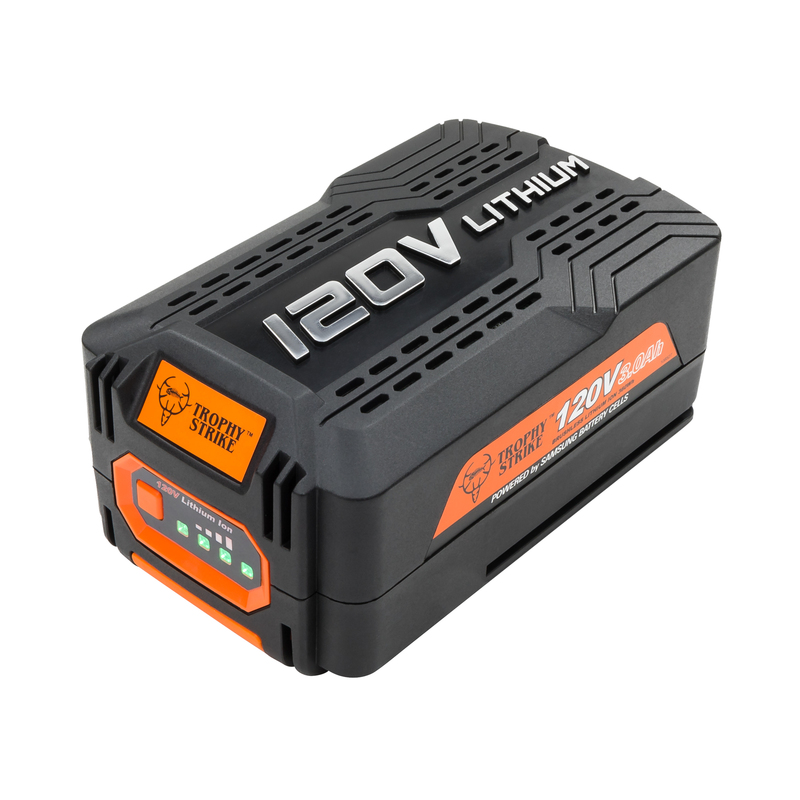 This clean, efficient, reliable technology is the future of power equipment and is a must have for safe, enjoyable ice fishing. 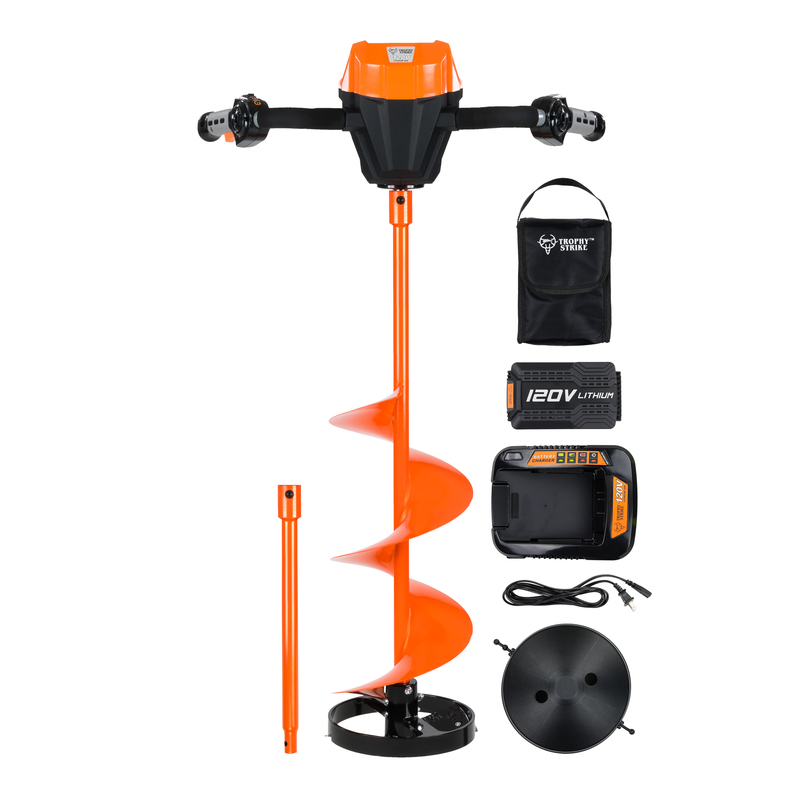 The Trophy Strike Ice Auger includes everything a person needs to start drilling: powerhead, 8″ ice auger, 2.0Ah 120V battery, battery charger, 12″ extension, and battery bag. 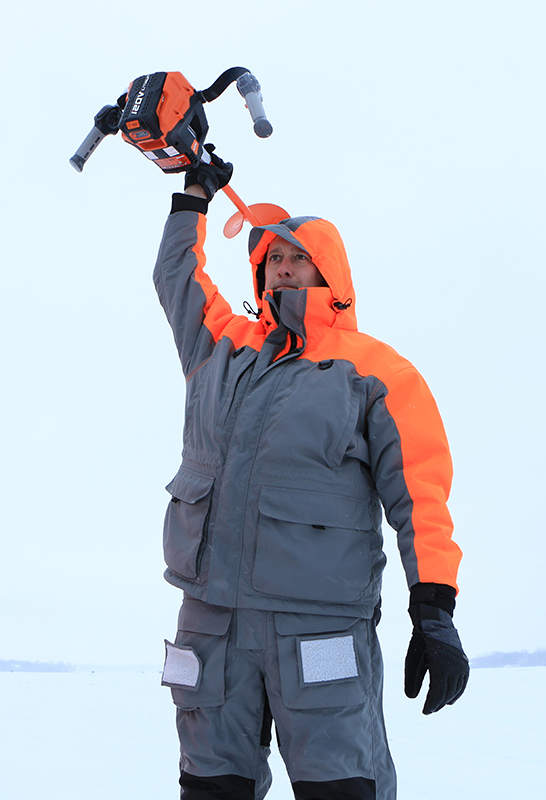 “Consumers have been wanting powerful, environmentally friendly ice fishing tools with a long battery life so they can spend less time prepping and more time fishing and we’ve responded by introducing our 120V Lithium-ion Cordless Ice Auger, giving them the power and green technology they desire,” said Dan Banjo, President, Frictionless World. “We strive to provide our customers with the best experience with the fastest most powerful green technology ice auger on the market”. 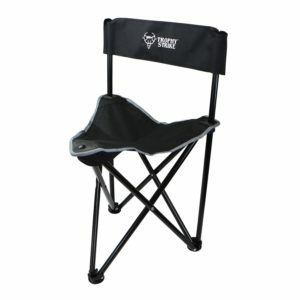 Trophy Strike is a registered trademark of Frictionless World LLC, a Colorado based company that was founded in Boulder in 2012 and specializes in outdoor power equipment, lithium-ion tools, farm and ranch products and replacement parts, and commercial grade equipment for rental professionals. Frictionless World’s brands include Dirty Hand Tools, RanchEx, Redback, Trophy Strike, and Vinsetta Tools.